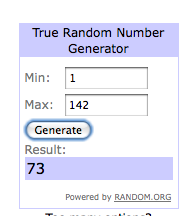 Winner of the Sweet Tea Shoppe Giveaway! Congratulations! You and your new necklace will be very happy together. Thank you to everyone else who participated in the giveaway, and please remember Sweet Tea Shoppe for future reference! Thank you so much!! I am so excited.